This sounds like an obvious suggestion, but maybe not for the reason you think. Generics are not just cheaper. Generics are safer. Generic drugs have been on the market longer and have been taken over longer periods of time by more people. Because of this, the side effects and long term health implications are better known. Rosuvastatin the generic for Crestor was $13.59 at Giant pharmacy and $60.46 at Walgreens. Aripiprazole the generic for Abilify was $100.19 at Harris Teeter and $292.61 at CVS. It’s easy to transfer a prescription--if you find it for less at a different pharmacy, just call the new pharmacy and ask them to help you. It's access to the GoodRX tool that lead us to Magellan. I liked the app, but wanted it integrated into our health plan so people with our insurance could use it, see our pricing and have what they pay track toward their deductible. That's exactly what Magellan has done. In all honesty, we got a little bleeding edge on this one and we spent a lot of time working out the glitches with Magellan, but they are pretty well sorted out at this point and we have a state of the art tool for our staff to use. If you have a high deductible health plan and you don't have this tool, talk with your HR folks and ask for it. We asked participants to watch out for drug manufacturers combining two old drugs into a single, costly “new” drug. We had a $9,027 charge for Zegerid. Zegerid is a compound of omeprazole [over the counter Prilosec] and sodium bicarbonate [alka-seltzer] that could be purchased for $20. Similarly, we had a claim for Treximet for $1,471. Treximet is a migraine medication that is a combination of generic sumatripan and over-the-counter naproxen [Aleve]. Bought separately, the components cost about $37 for a 90-day supply. My doctor shared that she no longer accepts free samples from drug companies because they only provide samples of the newest, most expensive medications. When she shared them with her patients, they either thought they needed that brand and insisted on it or quit taking it because of the cost. I wonder if that’s what led to the claims we have had for Zegerid and Treximet. Check out openpaymentsdata.cms.gov to see the payments your doctors received from pharmacy companies. It won't tell you if they accept free samples, but it will provide useful information. 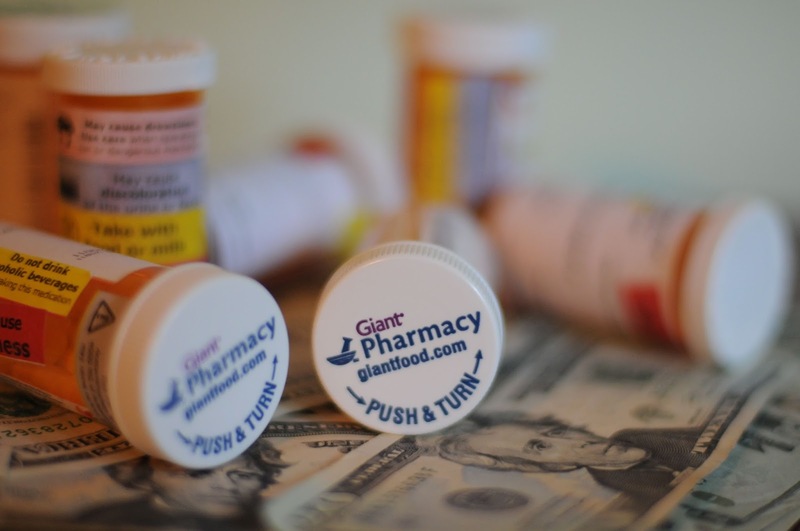 Read How Two Common Medications Became One $455 Millions Specialty Pill to learn more about drug combining and coupons. Interested in learning more? Take a look at the resources Consumer Reports has put together. Or, search my blog. I've written quite a bit on this topic most recently The Dark Art of Prescription Drug Pricing. Don't miss the John Oliver video in that post. It's definitely worth a few minutes of your time. I enjoy Sarah Kliff's reporting on health care for Vox. 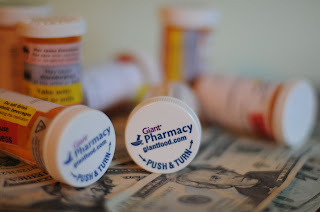 I recommend The true story of America's sky high prescription drug prices and If Trump wants to lower prescription drug prices, he's going about it all wrong. It's also worth giving some thought to who funds the studies. The Cochrane concluded: "Sponsorship of drug and device studies by the manufacturing company leads to more favorable results and conclusions than sponsorship by other sources. Our analyses suggest the existence of an industry bias that cannot be explained by standard 'Risk of bias' assessments." Learn more about the industry sponsorship and research outcome study here. This Freakanomics Podcast is worth a listen too.